Within Teamwork Projects, you can create shortcuts so that you can easily access any item or area within your Projects site. To create a new shortcut, use the + Quick Add menu at the top right of your screen and choose Add Shortcut. You can also press the + key on your keyboard when on any page in your site to create a new shortcut. In the add shortcut modal, you can update the name of the shortcut. By default, the source selected will be to use the current page as the shortcut link. 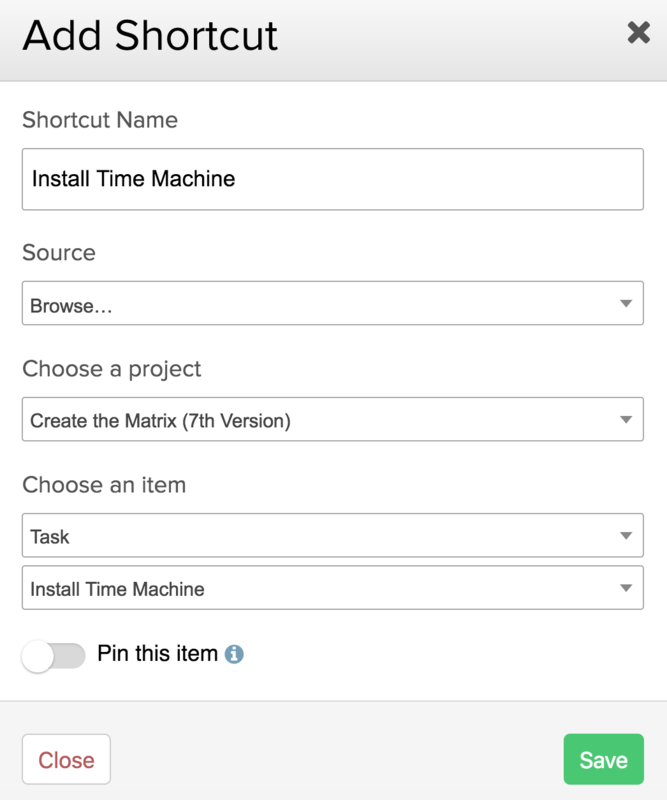 When you select the browse option, you will see an option to choose one of your projects. Once a project has been chosen, you can select which project item type you want to use for the shortcut. You can then select the specific item. To view your shortcuts, click your profile image in the top right of the screen and choose My Shortcuts from the dropdown. 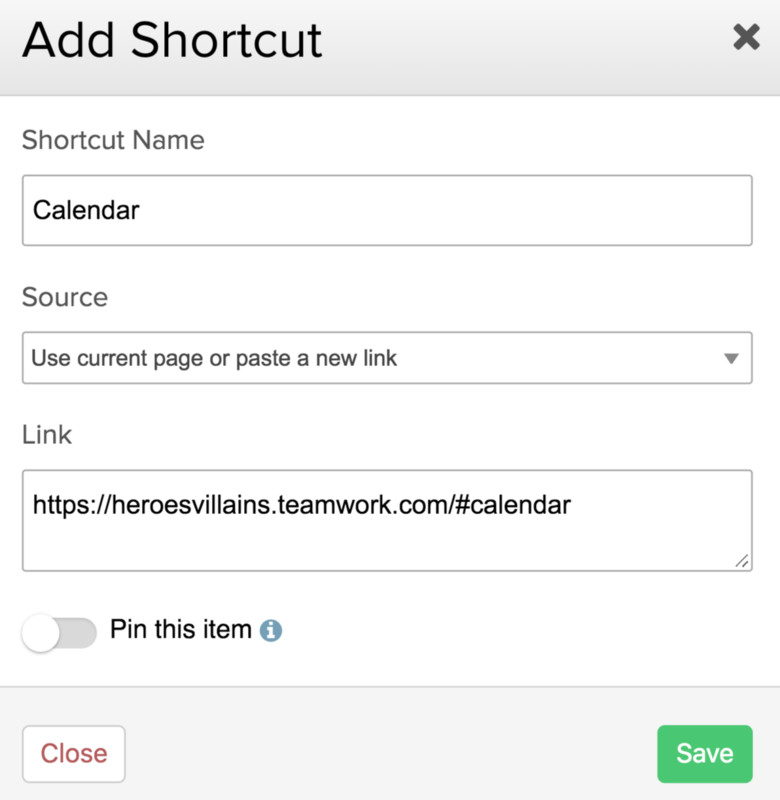 You can also use the keyboard shortcut Shift + s.
Shortcuts are grouped by feature, based on the type of item you have saved, for example a task, a task list, a message, milestone, file or notebook. The Project section includes shortcuts pointing to an area within your project rather than a specific item, like Overview or the Files section. 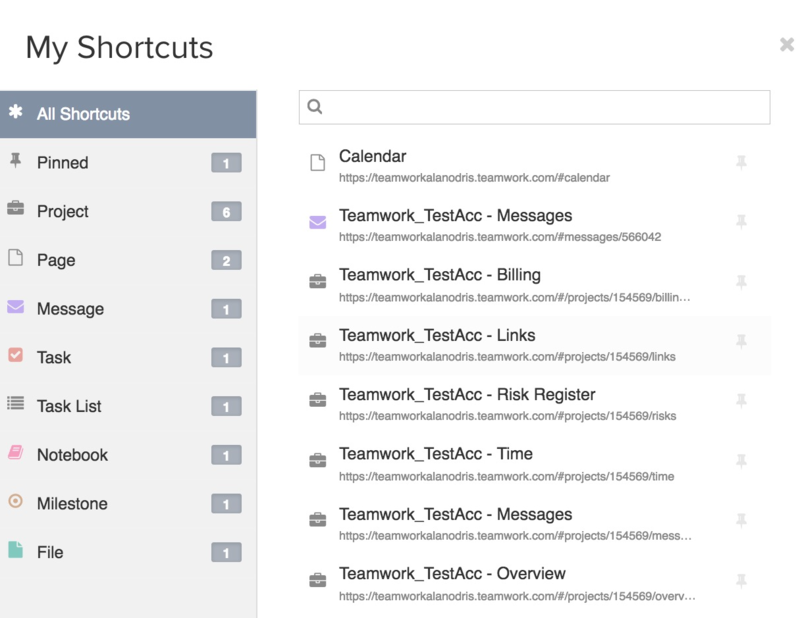 Shortcuts in the Page section are based on direct links to the Dashboard, Everything, Projects, Calendar, Statuses, and People tabs. When viewing your list of shortcuts, the up and down arrow keys on your keyboard allows you to navigate through shortcuts, and pressing Enter brings you to that specific page. Note: The shortcuts feature is price plan dependent.